Mother's Day is coming up! Purdy's Chocolatier has a Mother's Day giveaway on now! 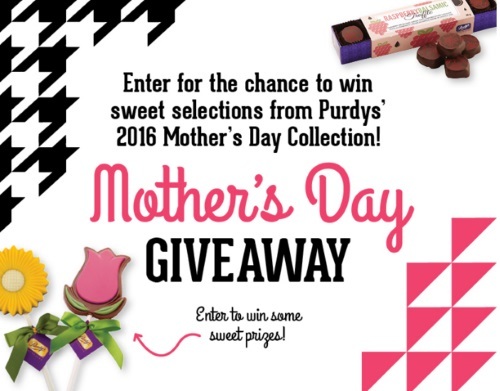 Enter to win a sweet selection from Purdy's 2016 Mother's Day Collection. Contest closes April 24, 2016. There will be 10 chances to win (2 winners everyday during the during of the contest April 20-24).